The Moog synthesizer, the prime electronic instrument of the 1970s, linked a piano keyboard to an analog computer — but it had no memory. Wanting something better, Dartmouth music professor and composer Jon Appleton turned to Thayer School. 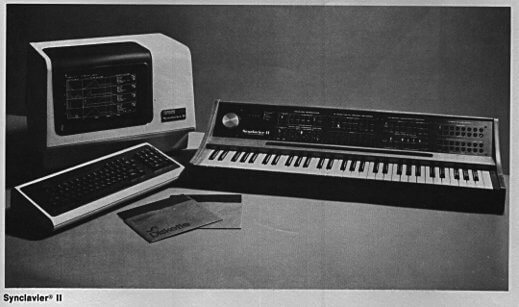 The resulting Synclavier was the world’s first digital synthesizer. Built in 1975 by Thayer School research professor Sydney Alonso and programmed by then-B.E. candidate Cameron Jones ’75, Th’77, the Synclavier pioneered digital sampling, hard-disk recording, and professional sound editing. It was just what Appleton wanted. “It did so many things, and the software was so beautifully integrated,” he says. Alonso and Jones left Dartmouth and went into business, founding New England Digital Corporation in 1977. The Synclavier rapidly became the Rolls Royce of the music industry. Despite price tags ranging from $75,000 to $500,000, the Synclavier was the instrument of choice for Sting, Stevie Wonder, Frank Zappa, and many others. When jazz guitarist Pat Metheny asked how he could plug in, Synclavier engineers worked with him to develop a guitar interface. Pianist Oscar Peterson’s wish for better response led to the touch-sensitive keyboard. Lucasfilm’s interest in the sound editor function resulted in a new software interface that made post-production editing as easy as music recording. Throughout the 1980s Synclavier led all comers. But as personal computers flooded the market with low-cost digital samplers and audio editing software, Synclavier sales faltered. In 1992 New England Digital Corporation closed its doors. Today a hundred or so die-hard customers keep the Synclavier alive. Hardware and software are available online.